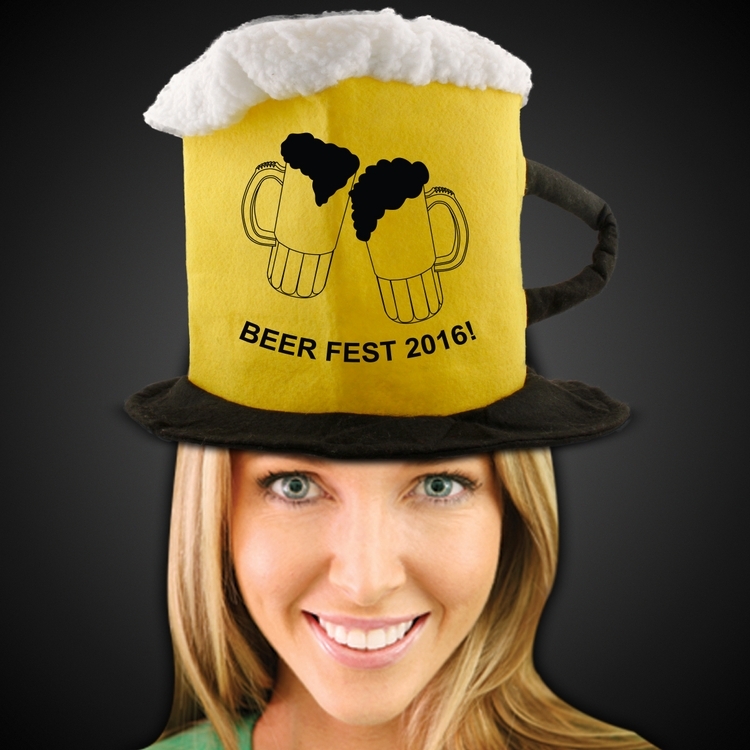 Be the center of attention anywhere in this outrageous beer stein top hat!  This novelty hat is great for Oktoberfest, Mardi Gras, Halloween and costume parties. 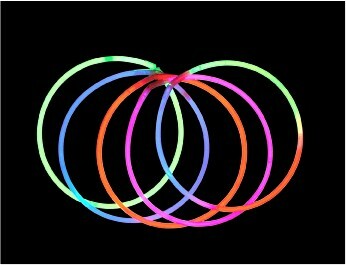 Order in increments of 1 piece. One size fits most. 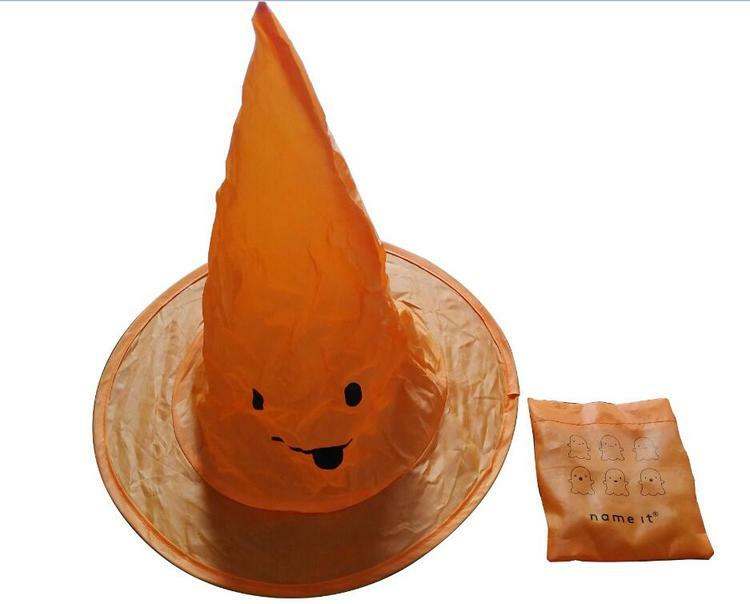 Witch hat is made of polyester, a promotional gift for Halloween, your logo will be displayed in the crowd. The logo of the pouch and hat can be different. 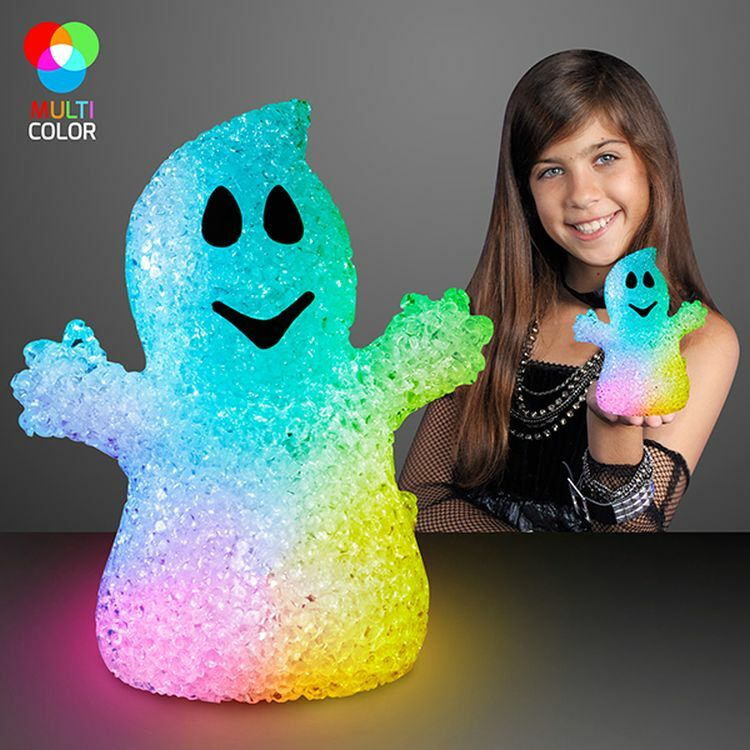 Toss aside the pillowcases and boring candy pails, Pumpkin Light Handle Halloween LED Buckets are here! 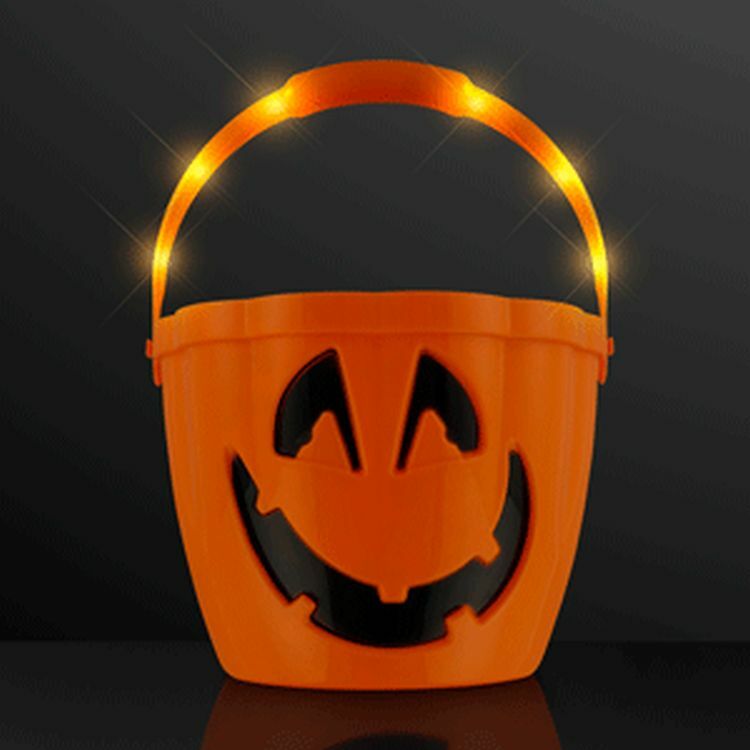 This All Hollow's Eve collect candy in this smiling pumpkin face bucket and stay safe at night with the light up handle. 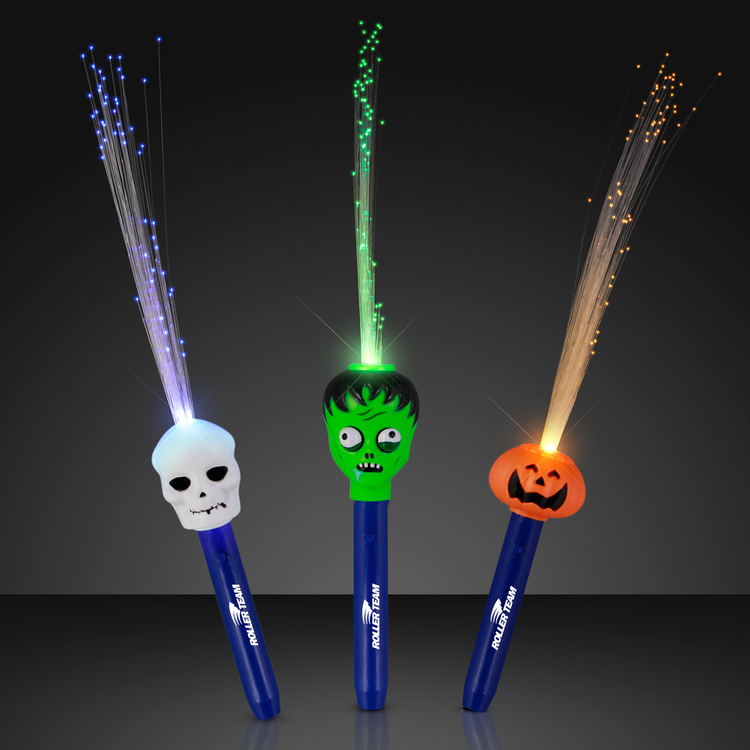 Trick-or-Treat has never been more fun. Promote brands or logos with 2 different imprint places (1 included in price): Side or Handle. 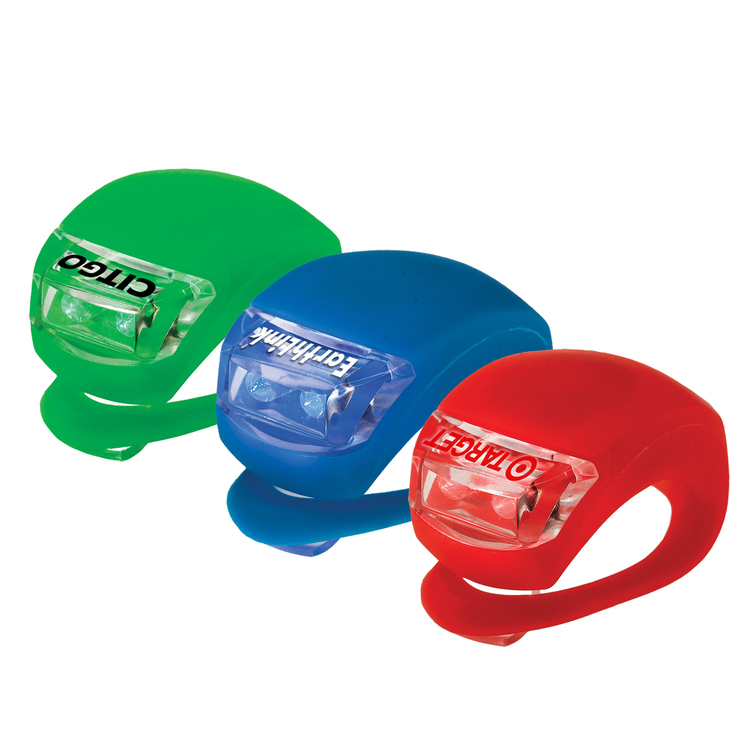 To activate your Light up Jack-o'-lantern Bucket, remove the pull tab and press the button located on the back of the handle. 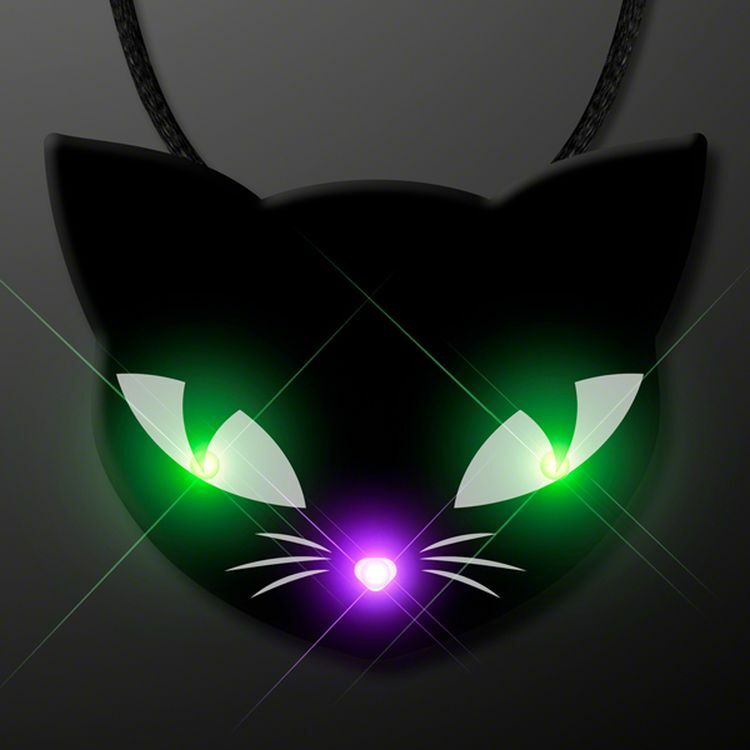 Spooky Cat Eyes Necklace, LED Halloween Jewelry is fashionably creepy! 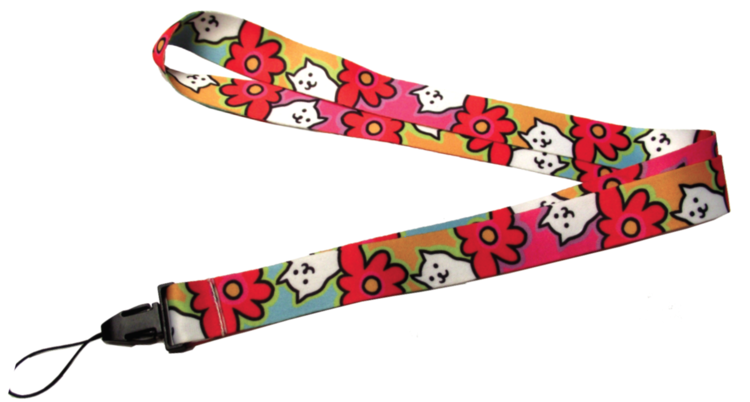 Light Up Cat Shaped Necklace's eyes and nose slowly fades in and out for an eerie LED light effect. 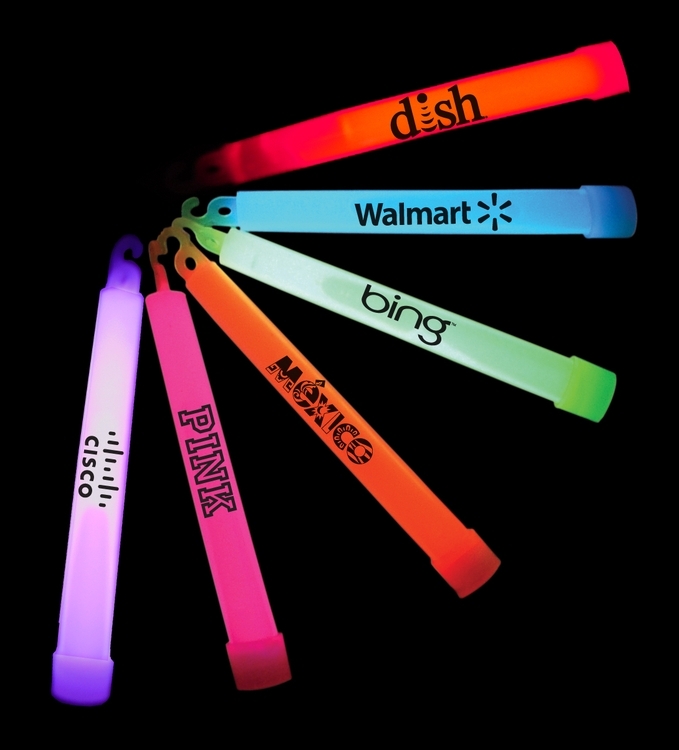 Stand out at the next Halloween party, costume contest or while out on the town. 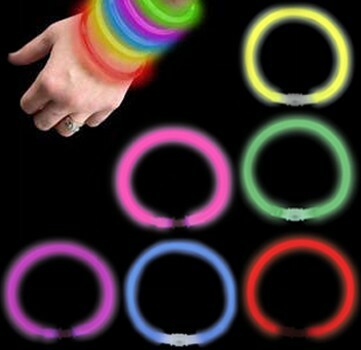 Necklace has a breakaway clasp for easy and simple removal. 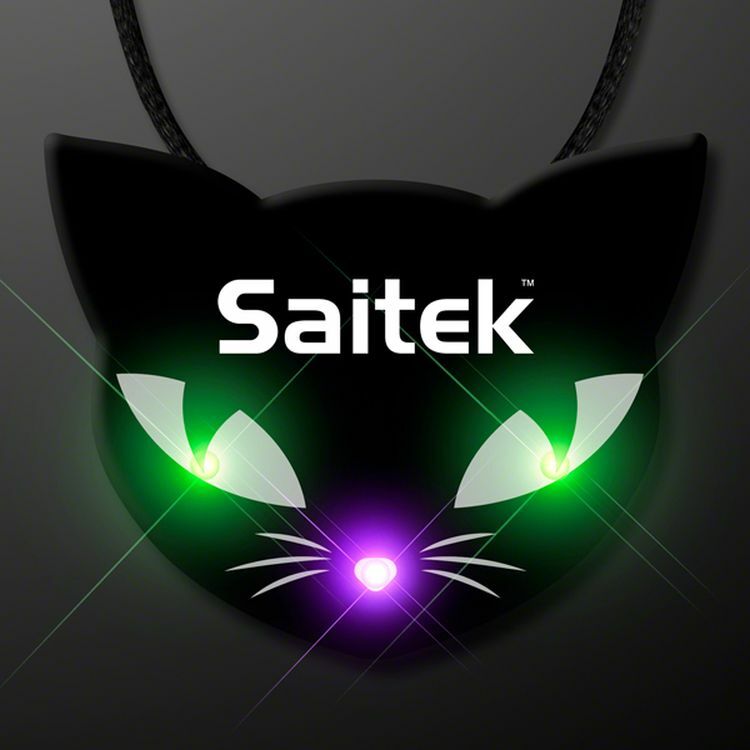 To activate your LED Spooky Cat Necklace, remove pull tab and press the button, located on the back of the battery housing. Comes with 2 replaceable CR927 Batteries. 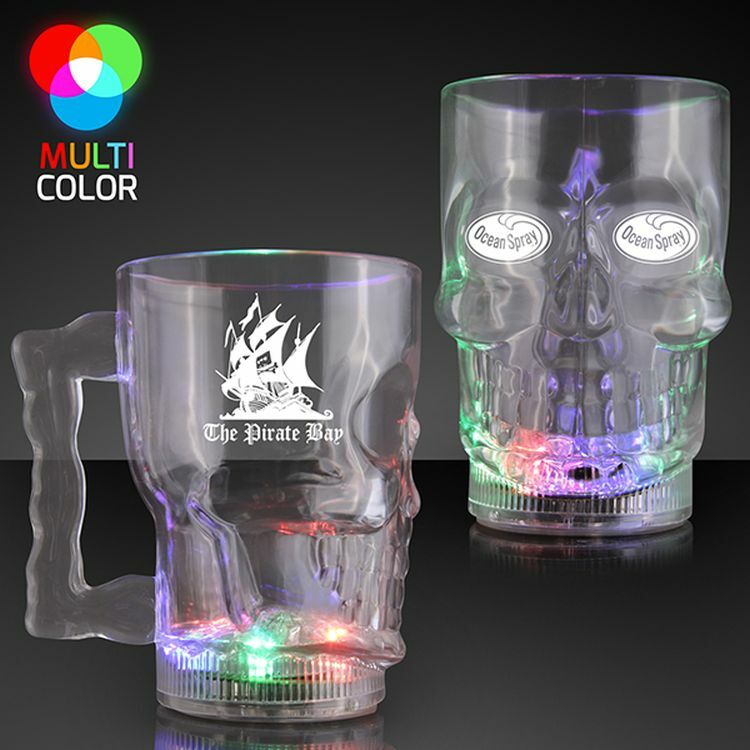 Light Up Skull Halloween Party Mugs are the flashiest and spookiest way to enjoy your ice cold beverage not just on Halloween, but all year round! 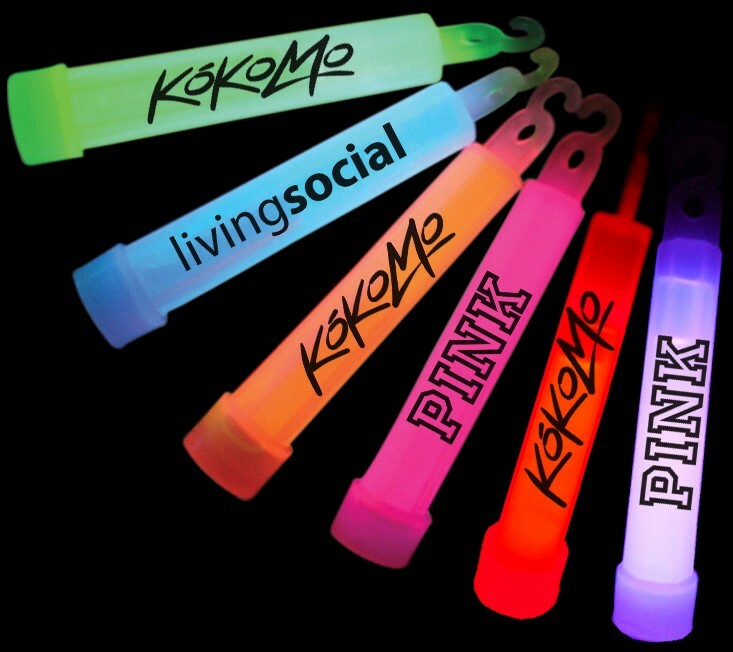 Perfect for events, concerts, bars, clubs, raves, and, of course, resale and vending. 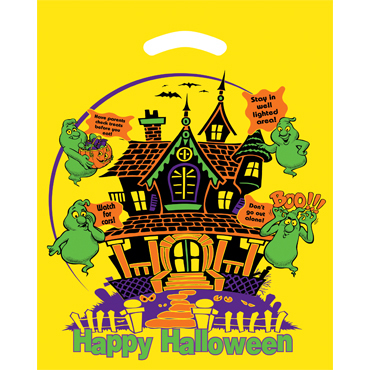 HALLOWEEN TOTE BAG ORANGE WITH GHOST GRAPHIC. It measures 8"w x 4" gusset x 10"h and is made of polypropylene which is designed to have the look, feel, strength and quality of cloth. 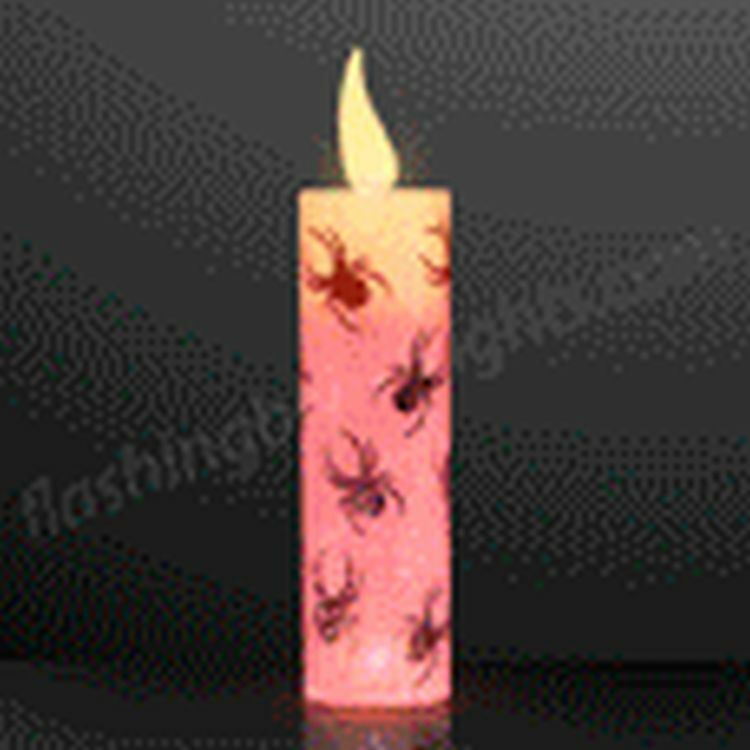 It has stitched seams in the sides and bottom gusset. 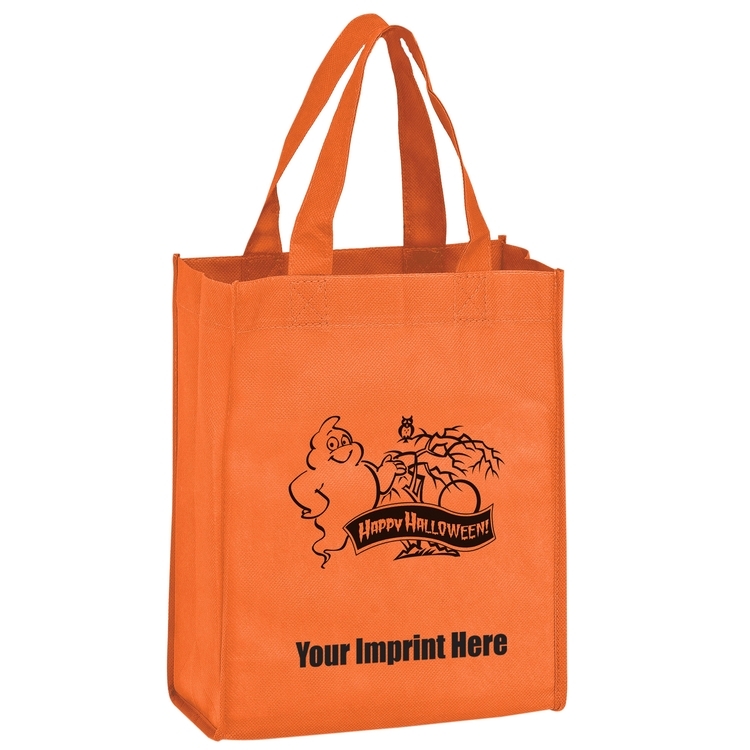 This Halloween tote has 12" standard handles. The material weight is 80 Grams per Square Meter(GSM) Bag colors: Orange Bag price includes one black ink color screen one side. 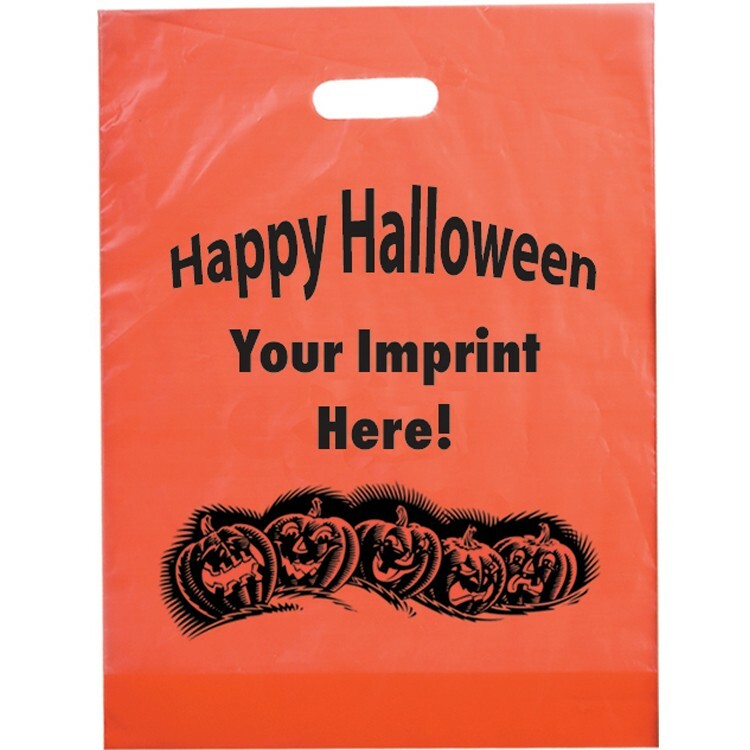 HALLOWEEN TOTE BAG ORANGE WITH GHOST GRAPHIC. It measures 13"w x 5" gusset x 13"h and is made of polypropylene which is designed to have the look, feel, strength and quality of cloth. It has stitched seams in the sides and bottom gusset. 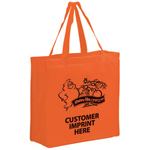 This Halloween tote has 18" standard handles. 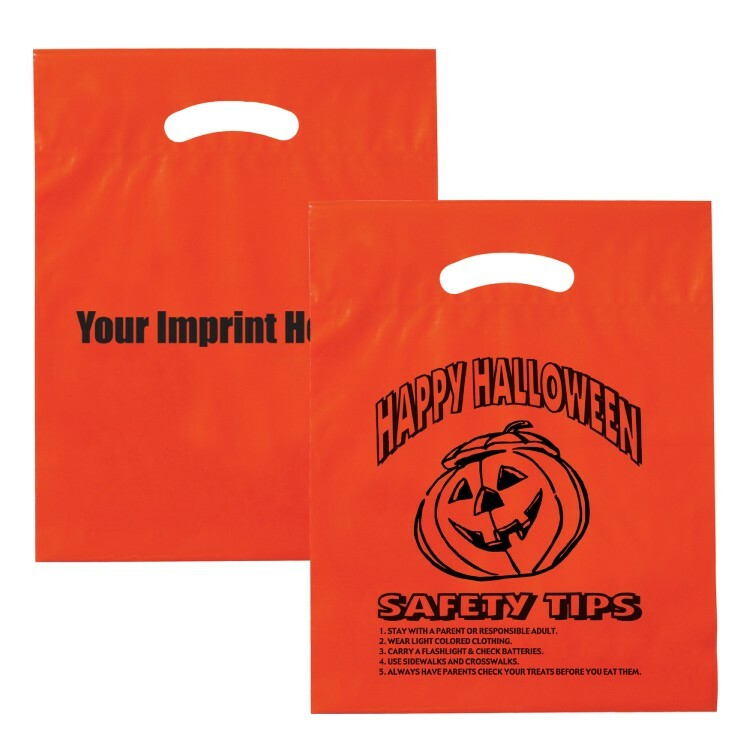 The material weight is 80 Grams per Square Meter(GSM) Bag colors: Orange Bag price includes one black ink color screen one side.